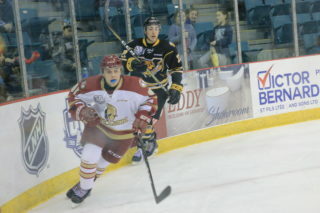 BATHURST – The Acadie-Bathurst Titan are pleased to support forward Ethan Crossman in his entrepreneurial venture as he runs his apparel company, Jagged Journey. Throughout the month of October, pink Jagged Journey t-shirts will be on sale for 20$ with five dollars from every shirt sold going to the Breast Cancer Society of Canada. Shirts will be available at the K.C. Irving Regional Centre during the Titan’s home games in October as well as online on the Jagged Journey website. I dreamt up Jagged Journey mid-way through the 2017/2018 regular season. This past year, as some may know, my journey happened to take me on a joyride, as I was to be lucky enough to be a part of an outstanding organisation. 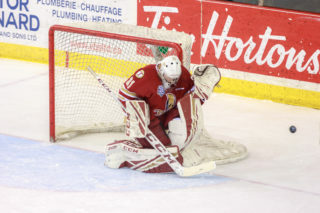 The Acadie-Bathurst Titan have however, also been through quite a jagged journey nearly being relocated a few times before this year being put on the map in the hockey world. Huge kudos to the management for believing in the team and everyone involved in this past years success. We had all the right guys, including athletes, coaching staff, trainers, management to all of the staff behind the scenes making the little things happen at the right time. Not to mention, we had the whole community behind us, supporting us every step of the way. 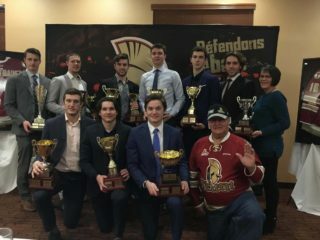 These were all key factors as to WHY the underestimated Acadie-Bathurst Titan won not only the President’s Cup, but also the Memorial Cup. What some may not know about my individual path through hockey, is that my first two years of junior hockey didn’t exactly go as planned. 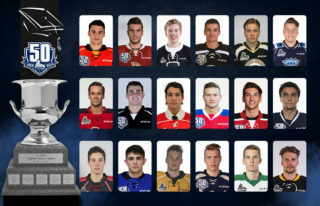 My jagged journey took an all-time low as I jumped from team to team in the QMJHL and really didn’t produce as much as I was expected to, finding myself playing in a league below the QMJHL for the Woodstock Slammers, who have now moved to Grand Falls in the MHL (Maritime Junior ‘A’ Hockey League). 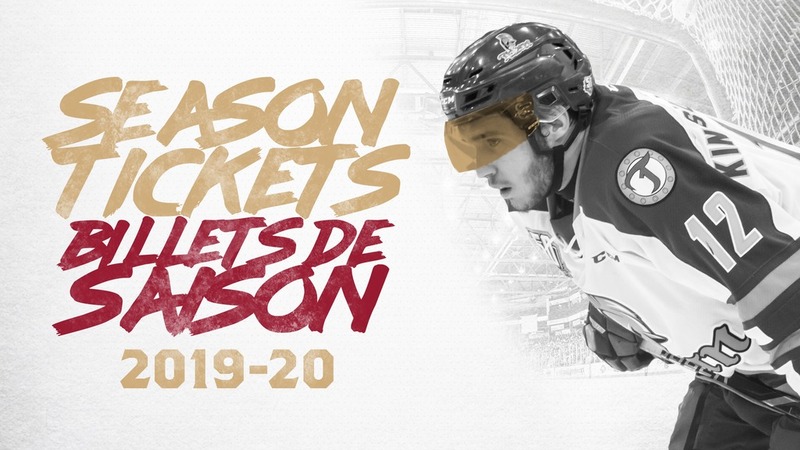 Thankfully, last summer, the Acadie-Bathurst Titan took an appreciative chance on me, and we went on to have a phenomenal year. Not only, did we finish as champions but I also exceeded my individual expected production. This however isn’t how my journey ends, as I soon learned how quick the highs in life can turn into lows. Recently, I’ve been laying low recovering from a necessary surgery that I underwent on my left hip. Heading into my most important year of hockey, I’ve mostly been reflecting a lot on Jagged Journey’s roots. Though I’m lucky enough to have my jagged journey through sports, it is extremely capable of representing the highs and lows of all types of challenges such as injuries, sicknesses, and situations making us a versatile community with apparel for whatever life throws at you, one day at a time. My story has made me realize that I need to bring my brand of Jagged Journey to life, and as the Jagged Journey community grows, I encourage you to share and represent your own jagged journeys with pride through our website and new local apparel. WHATS YOUR JOURNEY? !